A1 Affordable Services Ltd. Electrics, Plumbing & Heating (Domestic and Commercial) 0800 634 9701 /07968130914, 14 Millennium Way, Wolston. All aspects of Electrical and Plumbing Works. 24Hr Emergency Call-out. Approved by National Association of Professional Inspectors and Testers (NAPIT), Trustmark (Government Approved Standards), Guild of Master Plumbers. All areas of architectural works undertaken from house extensions, alterations and loft / garage conversions to new build houses. Dimensional surveys - Scheme design - Planning Application drawings, submission and management. Building Regulations drawings, submission and management – General advice. Please contact us to arrange a free no obligation meeting. 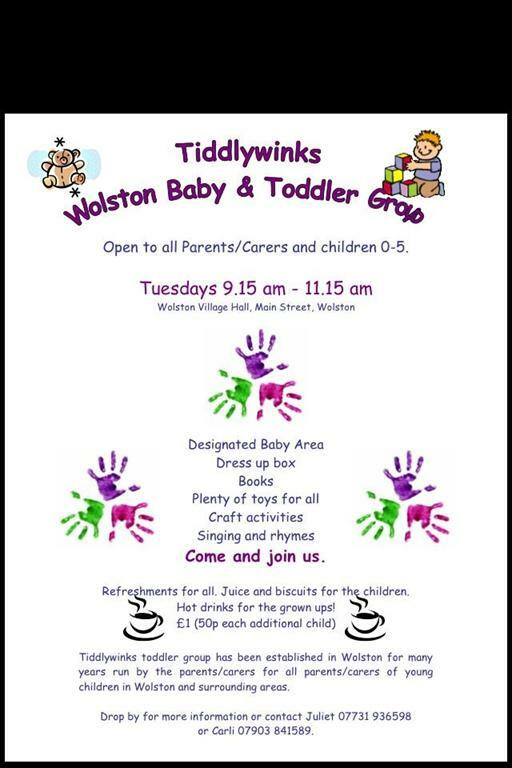 Lessons held at Wolston Village Hall and Wolston Community Centre. Dance classes in Ballet, Tap, Disco and Street Dancing for boys and girls aged 2½ upwards. Bespoke furniture designer and maker. For furniture that is designed and handmade to your requirements using traditional and modern cabinet making techniques. 14 deluxe chalets in secure, quiet, rural surroundings with all comforts. Viewing welcomed. Bowen Emmett Reflexology, EMM-TECH Tutor, amazing muscle release courses held locally. Treatments tailored to help you, as an individual. Feel better! Jean Clairvoyant is a Spiritual Medium offering face-to-face + phone readings from Star Magick Spiritual Centre. She is a compassionate person who uses counselling skills during her readings. She also gives Life Path readings, offering Spiritual guidance to help you find what you really want in life + help you achieve it. Readings are £25 for half hour or £39 for an hour long Life Path reading. Party groups at your own home by arrangement. Jean also offers Person Centred Counselling and Reiki healing + tuition. We now offer our dog walking services in Wolston, Stretton, Ryton on Dunsmore and Brandon. Wolston has some lovely field and woodland walks for dogs, away from traffic and lots of other animals, we also use Ryton Pools and Streetly Meadows and the local bridal paths for dog walking in Wolston. We will walk your dog either in a small group, with a maximum of 3 other dogs or on a one to one basis if your dog is older or more nervous. All our walkers carry bags and we never allow the dogs to leave a mess behind. We are two female pet carers based in Wolston who can offer a dog sitting or regular walking service as well as feeding your cats or other small pets. Dogs can spend a holiday with us sharing our homes and spacious gardens if you are away on business or holiday. We can walk on a daily basis should you work long hours ensuring your pets get some company and are lovingly cared for in your absence.We are CRB checked insured and have pet first aid training. References are available from happy clients based in Wolston and surrounding areas. A friendly and flexible handyman service helping keep homes and offices working smoothly. Small jobs a speciality. Specialist in Funeral tributes, bouquets and arrangements, contemporary designs, and wedding flowers. For all your sewing requirements. Dressmaking, ladies and gents alterations, bridal wear, soft furnishings and curtains. Also UPVC Doors, Windows and Gutters. James Ansell Tree Surgery, Landscaping, Firewood supply. Please contact me for a friendly, professional service and a free quote. Your Personal Travel Counsellor, based in Millenium Way, Wolston. Confidential service from start to finish. No extra cost to yourself 20 years experience in retail travel industry. Join us at Wolston Leisure & Community Centre every Monday at 6:30pm. Together, the Wolston members have lost 30 stone so far this year - that's an average of 1 stone between them each week!